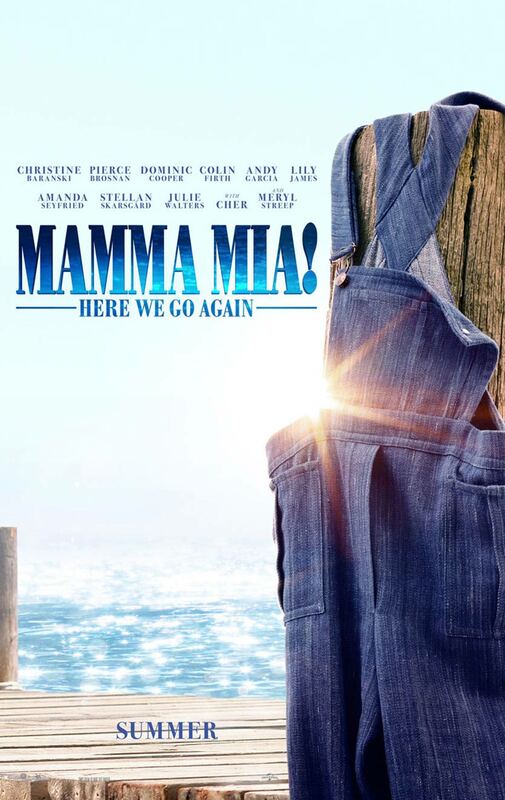 Poster #1 for Mamma Mia! Here We Go Again, which was released on July 20, 2018. The film, starring Meryl Streep, Pierce Brosnan, Colin Firth, Stellan Skarsgård, Julie Walters and many more, currently has a total of one poster available.